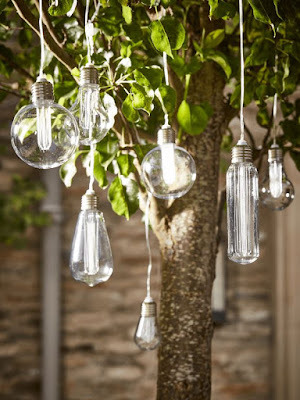 Have magical summer evenings with these twinkling lights in your outdoor space , from lighting the path around your garden to giving a glow to your patio ….. 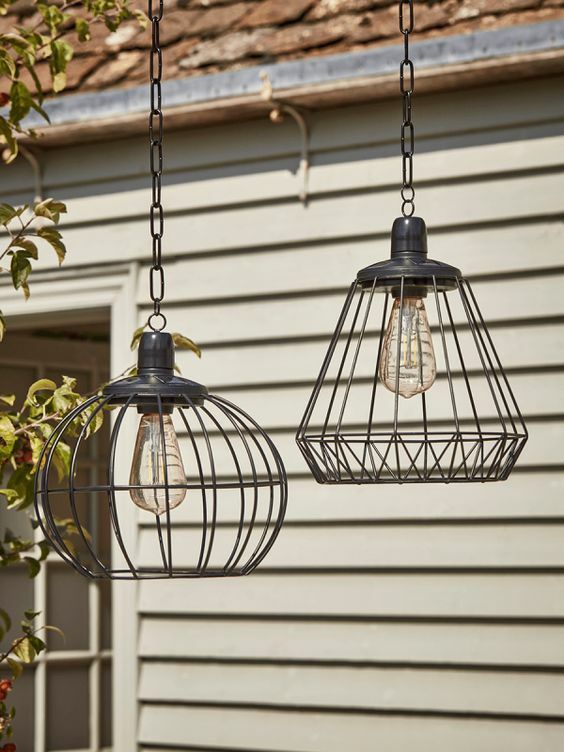 Designed to add a unique touch to you lighting look, Cox & Cox specialist decorative string lights are reminiscent of vintage style lighting from a bygone era. Each set features seven different bulb shapes, ranging from round, teardrop and fluted. Powered by clever solar technology, this collection of mismatch string lights are perfect for hanging amongst a tree in your garden. 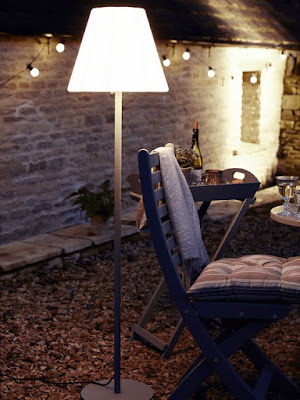 Set the mood to your outdoor dining with our cool and clever outdoor lamp. The Elsa Floor Lamp has a weather resistant white opaque shade with smooth scalloped detailing, a simple grey metal stand and base and an extra-long flex. Made from glass and embossed with four different but complementary patterns, our sweet set of four decorative jars makes a fabulous way to illuminate your outdoor space. 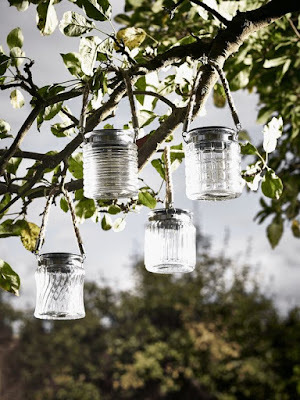 Create a cosy atmosphere in your garden with this basket inspired lantern. Powered by clever solar panels, this fabulous black slatted lantern will illuminate your outdoor space with a warming white glow.